- this car is supposed to be a super-pro car. 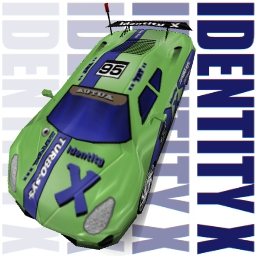 - this car should've been gray and blue, but then i changed it to light green and blue because i did too many gray super pro cars (prototype FX-77 and U.V.G.S. are both gray).